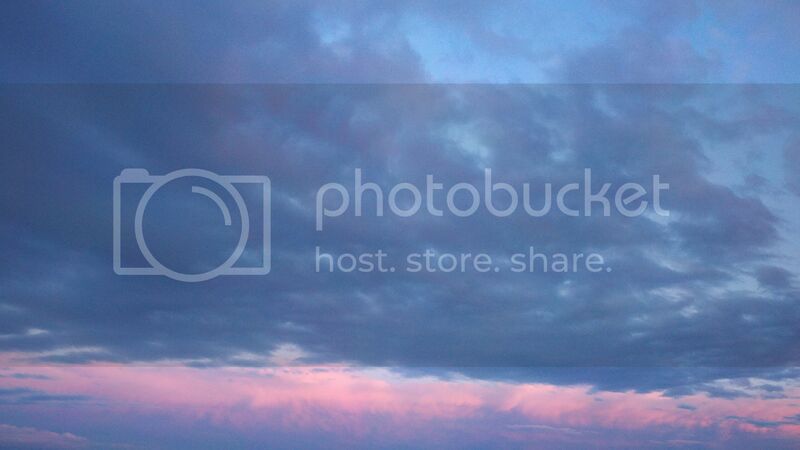 Growing up, we called this sky blue pink. We are blessed with beautiful sunsets here! I love this sky! 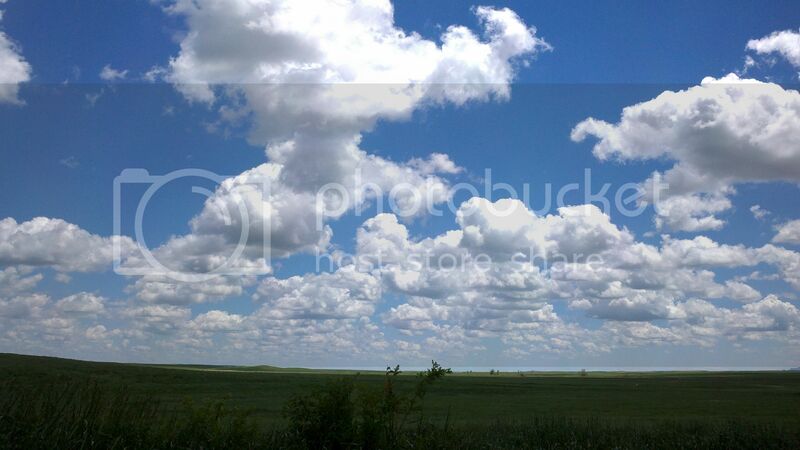 Big, white puffy clouds with vivid blue sky! Garrett loves to ride! 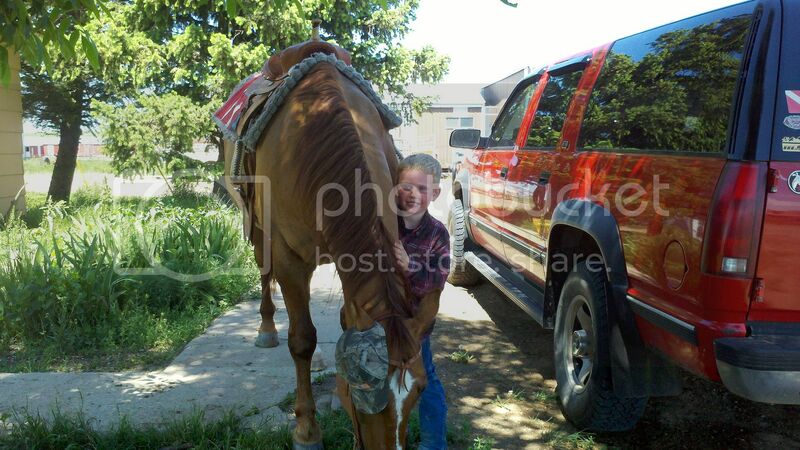 Here he is riding Sam, the great kid horse. 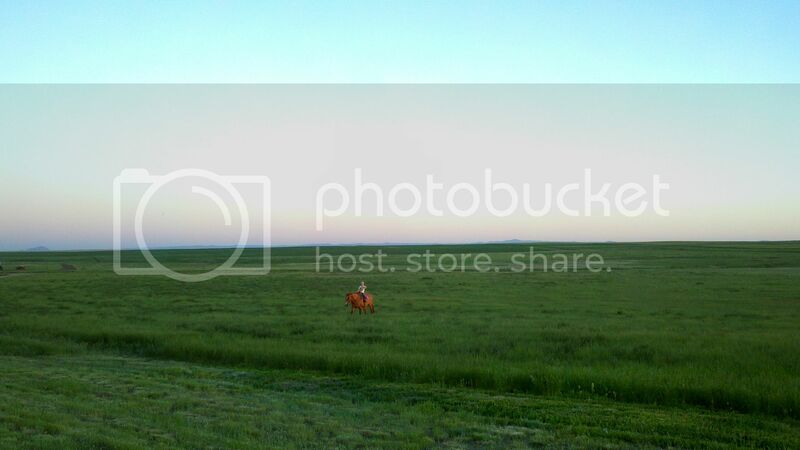 He is still a great cow horse, too, and I like to ride him even if he is a bit rough. After moving some steers back out to pasture, I took a short cut home against Garrett's recommendation. He was right...it was REALLY muddy, boggy down there. Poor Sonny! He was in mud up to his hocks. 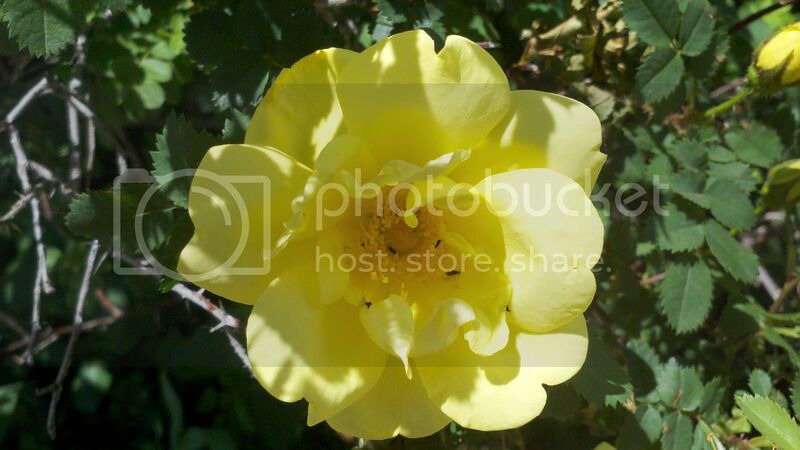 We have an old rose bush in front of the house and recently is has been covered in beautiful yellow roses. Lovely and very fragrant! Garrett is here having fun with Sam. He hung his camo hat on Sam's ear. Good 'ole Sam puts up with so much!